Welcome to the Extension in the City Orientation. 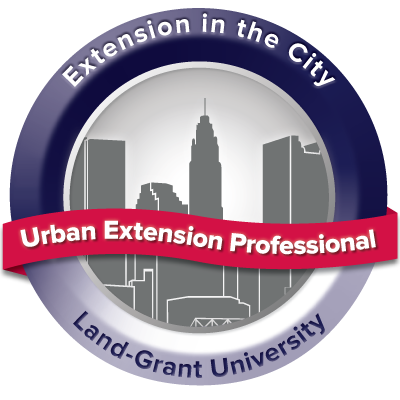 The Urban Extension Introductory Guide provides easy access to resources to improve awareness of urban Extension context for all university Extension personnel, colleagues, volunteers, advocates, and partners. Awareness of the scope of urban Extension and what factors make university engagement in the city unique. Knowledge of the role you play in contributing to impacts in the city. Ability to connect with resources that prepare you to represent university Extension in urban communities.